Internet protocol Television or IPTV is a video broadcast technology that delivers video content over computer networks. Instead of using medium like cable or satellite radio to deliver content, IPTV uses converged IP networks, allowing other services like VoIP, computer data exchange or Internet access to be still available from the same network. IPTV fits perfectly to the concept of Internet-of-Things and other ITC trends. While based on IP protocol which is now a backbone of data provisioning for almost any connected device we use today, IPTV is truly open to support new devices and be integrated with various services. Both facts make IPTV easily shaped to meet the expectations of viewers, conform to suggestions of marketing specialists and allow IT staff to integrate and maintain the solution without excessive efforts. IPTV is a relatively widespread technology, it can be found in hotels, households, on vessels, even on airplanes and is often available from Triple Play service packages provided by Internet Service Providers. For the last two decades several industries like hospitality or telecom were investing into development of the Internet protocol Television or IPTV broadcast technology. Apart from making the delivery of video content over computer networks a reality without trade-offs, those industries got a handy revenue-generating tool in their hands that let their customers enjoy a better grade service. IPTV is based on IP protocol making it possible to integrate television right into the digital realm where IoT, social networks, content hosting services and other popular web-based services are living. Originally available on PC and TV with set top boxes, IPTV went truly cross-platform after WEB and mobile apps became mainstream in IPTV solutions. 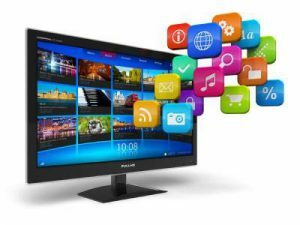 Web players and mobile apps introduced Live TV and Video-on-demand to many devices, from smartphones and tablets to Smart TVs, laptops, handhelds etc. Today IPTV is a well-known technology that stands well on its feet and will continue to be the driving force that defines the viewer experience as more providers, households and hotels are upgrading their TV systems. Media broadcast solutions have survived several transformations, both with transition from older technology to a newer, upgrading to a next generation or enhancing an existing standard. All the way down from analog TV to CATV, HybridTV, IPTV and OTT, media broadcast is now extensively improved to support 3D, 4K, 5.1 sound and more. The most outstanding results so far were achieved by the IPTV technology which allowed telecom operators, hoteliers and media content owners to take an advantage of the technology that has transformed almost every aspect of our lives – the Internet Protocol. IPTV stands for Internet protocol Television, which means users receive video content over computer network. 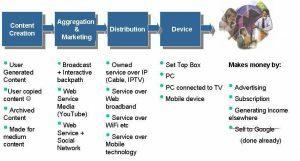 The convergence and diversity of IPTV technology allowed it to evolve into OTT or Internet TV, so that media broadcast has become truly global. But the real reason why IPTV succeeded so well is that it is based on technologies that allow deployment of solution using an existing infrastructure like metro-e, Local Area Network, including Wi-Fi networks. IPTV does not necessarily require investing in infrastructure, like traditional cable TV. Lots of cities has metro-e with dark fiber available and lots of buildings are already equipped with LAN suitable for IPTV. Every owner of such network could easily monetize it as long as the connected hosts are interested in live and on-demand video content. IPTV is all about cutting the costs of media broadcast solution integration, boosting the profitability and introducing a bouquet of services never seen on preceding broadcast technologies. IPTV does not require much of specific hardware and is affordable to small ISP, hotels, yachts etc. Fair enough, the definition of IPTV is quite a dynamic thing since every IPTV solution is built on various underlying technologies and are constantly enhanced with new features. IPTV in 2000s is nothing compared to what it is today, as most IPTV solutions are now turning regular TV into a media hub with lots of extras. IPTV was first introduced in 90’s as a way of delivering videos over computer networks. Efficient video compression algorithms along with reliable packet delivery protocols allowed the technology to be robust enough that professional solutions could be developed and used in commercial installations. An application called MBONE by Precept Software is probably the first solution that could transmit videos as unicast or multicast, also the first that used the term “IP/TV”. Several webcast solutions followed, giving a green light to OTT and IPTV solutions. By the end of 90’s the technology draw serious attention of ISP, Telcos and service providers. Live TV and Video-on-demand services, provided within IPTV service package became a profitable business with a lot of investments to the industry. 1994, the first TV show to be broadcast over the Internet by ABC’s World News Now. 1995, term IP/TV was used by Precept Software to define their MBONE broadcast application. 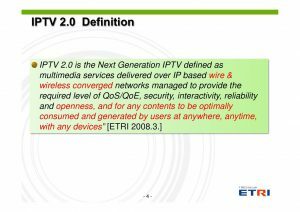 2003, the first worldwide IPTV service was launched by Total Access Networks, with 100 free IPTV across the globe. 2006 the famous U-Verse brand by AT&T was introduced, with dedicated IP network built exclusively for transporting video streams. Pressures to drive revenue growth, emerging content delivery technologies and promising subscriber uptake in various markets has generated interest in IPTV (News – Alert). Service providers with extensive broadband access networks have an opportunity to increase value from these investments and derive competitive strength. Besides ISP scenario mentioned by NGC in the above quote, IPTV service is suitable for many others scenarios. Residential – Homes, hotels, villages, condominiums, living quarters and accommodation clusters. IPTV installations of this kind are often deployed as “triple play” service delivered via one cable. Lots of subscription-based IPTV services are delivered via local metro-e networks, requiring users to only get a set top box and connect it to their home ISP router. Corporate – Education, infotainment and dedicated TV channels enrich corporate media life and allow a company to have their own mass media, which can also be private for keeping sensitive info inside the secured corporate IT infrastructure. Commercial – IPTV and OTT subscription service providers, Telecom service providers, owners of metro-e local networks or building-wide networks are great examples of businesses that simply ought to use an IPTV solution for their profit. With cloud-based IPTV servers and client apps for mobile platforms it is possible to start subscription-based IPTV service with reasonable amount of investments. Transportation – Passengers of trains, buses, cruise ships and airplanes always seeking to entertain themselves during long trips. IPTV helps to deliver Live TV, Video-on-demand, on-board shopping, trip information, important announcements and other infotainment to individual screens, helping passengers to fight stress and stay in a good mood. Solution diagram of an IPTV system is similar to nearly any server-based solution. A head-end, usually enterprise-level servers with dedicated equipment for signal acquisition is connected to hosts via a computer network. The head-end part can be very diverse in its specifications and overall architecture. Head-end and head-end subsystems – Includes broadcast service components with relevant redundancy and management capabilities. These components include all the equipment needed for content ingestion, encoding, encapsulation, and encryption, as well as DVB data extraction components. Edge-QAM subsystem – For cable operator deployments. Content management system – Enables the content provider and the operator to self manage the full content lifecycle from offline encoding, via ingestion and metadata management, pricing, packaging, bundling, marketing campaigns, through distribution and storage management. The CMS solution is a collection of integrated components covering the required lifecycle functionality of all content types. Content protection: conditional access (CA)/digital rights management (DRM) – A suite of integrated components covering all aspects of content encryption/decryption. Tight integration between all solution components and the CA/DRM vendor components is required. Video on demand (VOD) server and back-office systems – Video (or streaming) servers are responsible for pushing the content over IP via standardized protocols. Integration of the streaming servers with the head-end, CA, middleware and content management is required. Transport and access networks – the characteristics and capabilities of which bear heavily on service levels delivered to end users. The network is an integrated part of the overall end-to-end video solution and should be considered as such throughout the entire process of strategic planning, design and deployment. Customer premises equipment: residential gateway (RG)/IAD and STB – The RG/IAD enables the operator to perform end-user provisioning and home device management. The STB is the main component the end-user interfaces with. The STB typically interfaces with the middleware either via a native client or web browser. Delivers contents as: Streams, Files, Tapes etc. Typical configuration would include media streamers, middleware server, video-on-demand etc. Headend can communicate via dedicated switch or directly through local network. The client devices will receive service information from Middleware server and videos from media streamers and video-on-demand servers over IP network. What is IPTV platform in cloud? 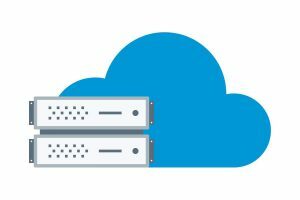 Instead of having a dedicated server on premises, there is an option to deploy IPTV solution in a cloud. It is possible to have simply an uplink switch connected to local network to provide IPTV services with the same quality as if they were provided from local servers. Cloud infrastructure is even more preferred, since it is easier to virtualize and replicate entire solution across different data centers and make sure that unavailability of one site with virtual IPTV servers will not lead to entire system downtime and profit loss as a consequence. The best practical advantage of a cloud installation is that newcomers can start IPTV business with little investment and pay as they grow. For example, a hotel could simply purchase Smart TV sets, install Ethernet network or use existing and subscribe for cloud based IPTV service delivered to the hotel over the Internet. Guests will not notice any difference as long as uplink to the cloud and hotel LAN are available and are working without speed flaps. Despite requiring additional investments, using set top boxes is still preferred even for cloud-based solutions to ease up forthcoming upgrades and achieve better content delivery. 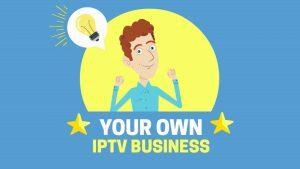 What is a IPTV service? Why do we need IPTV service? There are two good reasons why IPTV evolved so fast and so many vendors have developed their own solutions of this kind. People are watching TV, lots of people. 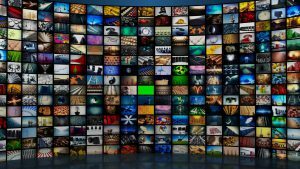 Despite the success of video hosting websites that took part of video broadcast market away from Pay TV providers, quality content is still available mostly from subscription based services. IPTV made viewer experience much richer and truly interactive, so that anybody who ever tried quality IPTV service will never revert to regular TV. Availability of quality video content, including custom viewer choices-driven content that is available on variety of devices makes IPTV service a unique kind of entertainment that render classic TV an outdated experience. Witnessing high competition among service providers, users of IPTV services can expect flexible price offers, even better content and other features that will be constantly improving their experience. When do I need IPTV service? Any household with Internet access available can access IPTV services. There are usually numerous providers available locally, not to mention global operators who provide OTT services which are mostly the same as IPTV. Recent leap made by IPTV, OTT and mobile networks technologies allowed access to IPTV services even on mobile screens, would be a smartphone with LTE connection or a tablet connected to Wi-Fi. Just about any place, building, vehicle, vessel or even airplane can be equipped with IPTV system. All that is needed is to install TV sets with external set top boxes or Smart TV and allow IP network connectivity to them. In certain cases Wi-Fi can be used instead of Ethernet cable, leaving some options for situations when cables cannot be used. While still in its early stages, we can see a time when IPTV services are the primary source of entertainment on your TV. Why wait till 7.30pm on a Thursday to watch your favourite program when you can download the newest episode straight away, and legally? IPTV is an entertainment technology, so whenever people have time to be regularly filled with such pastime as watching Live TV or movies on-demand, IPTV comes in handy. But IPTV is not about video content only, there are a lot of options to add extra services like music-on-demand, personal video recorder, Internet on TV screen, social apps, games, messengers and video chats. IPTV system is a set of hardware equipment and software interconnected via a computer network and intended to provide video content to viewers. Streamers, Encoders, Middleware, Video-on-demand, Time-shift and other components are forming together a well-balanced system that is providing IPTV service to hundreds and thousands of users over local metro-e networks, FTTh optical cable or even mobile LTE and WCDMA networks. Example of racks filled with streamers, VoD storages and other IPTV servers. An IPTV system has two sides, one visible to administrators and another to users. 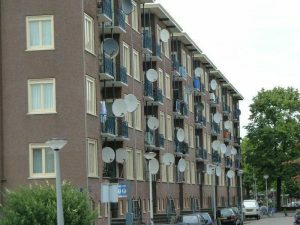 Administrators have to manage the receiving equipment up to satellite dishes to ensure good signal quality, they have to keep the solution up to date, secure and well performing. Users will see the IPTV system only from the side of client devices and their experience is mostly defined by how well the system is designed in first place. It also counts, how well the solution is maintained by the administrators. Besides the technical questions it is important to take care of local law requirements, which sometimes are literally shaping some parts of an IPTV systems. For example, in developed economies the copyright is treated very seriously with law enforced regulations for conditional access systems that has to be integrated all the way down from content providers, to IPTV service providers, network providers and client devices. To conclude, an IPTV system is very complex and has to be designed with best practices of system architecture design and software development methodologies to be efficient and reliable, while conforming to all law requirements. 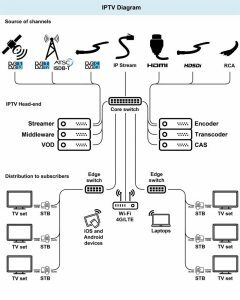 Please find a more detailed explanation of an IPTV system in the article How an IPTV TV System compares to Cable, Satellite, and OTT. An example of media streamer, a 2U modular server. Any IPTV solution has core part which receives channels, stores content and manage user access. The IPTV server usually consists of several physical servers, divided by the function they perform. Streamers, Middleware, Video-on-demand and other servers are connected together to create one IPTV system. Some solutions combine all components in one server, this is suitable for small installations but could limit system performance and services. For better service availability and easier system reconfiguration it is more suitable to use IPTV system with modular architecture spread across several servers. 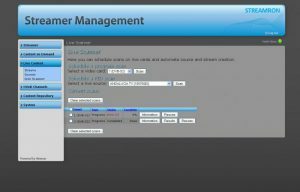 How does IPTV server work? Most IPTV servers are hosting Linux OS with IPTV-specific applications installed. This part usually controls the acquisition of media content from cable, satellite or antenna, AV or HDMI encoders and IP streams. Received content is then routed as IP packets to an IP address, from which client devices can receive the content. Depending on signal type and streamer specifications, streamer can filter PIDs, decrypt or otherwise process the content. This is where client devices get their service information provisioned from. This would include tariff-specific channel list, EPG information, available content and services. VoD server is a storage for media files like movies, video clips etc. It must provide secure and flawless access to stored content, based on what is allowed to be accessed to a specific user. IPTV uses IP networks with incalculable diversity of equipment which may become unstable enough to flip from working smoothly to a complete denial of service. In order to prevent services from rendering unavailable, various background services are monitoring the Quality-of-Service to warn administrators of possible issues before users notice something and start complaining to technical support. All IPTV server apps communicate with each other and with client devices in order to form an IPTV system. Common sequence of retrieving video streams includes a client device that authenticated on Middleware server with subscription plan attached. Middleware then sends list of channel and other content that is allowed to be accessed for certain conditions like balance, tariff plan, purchased or leased movies etc. When user selects a channel or clicks on a movie, the client device will request the video stream from IPTV server. A stream of IP packets with encoded video, audio, subtitles and other info is then delivered via one of network protocols. The client device only needs to decode the information and represent it on the screen, play through dynamics etc. Sometimes the process is a little bit more complicated, especially when a conditional access system is protecting the content. But from user perspective this will not affect the experience, while client device will decrypt the content in real time as it is downstreamed. Hotels, households, telecom operators, maritime vessels and yachts are usually deploy physical IPTV servers on premises. For some of them it is possible to reduce or completely get rid of on-site equipment, moving to cloud. But for most installations physical servers are preferred at the time. For better performance and less cost spent on Internet connection, all IPTV installations deployed in local networks are preferred with physical IPTV server attached to core switch of that network. Especially with source of signal available in network data center, it makes easiest way to connect IPTV server directly and not use virtual cloud. When do we need IPTV server? Providers who are looking for complete control of their IPTV service will require installing an IPTV server. Some installations have to be standalone, like those installed on maritime vessels, cruise ships, yachts, planes, trains etc. Since hosting vehicle is on the move, there might be no option to allow reliable communication to remote server site at reasonable cost. And for better reaction time of technical support it is more preferred to have an IPTV server installed no farther than engineers can quickly reach to fix something up. Since IPTV was intended to replace the classic broadcast solutions, it had to be compatible with TV sets customers already possessed to speed up the transition from older technology. Users should have got the same viewer experience with enhanced interactivity of IPTV services. 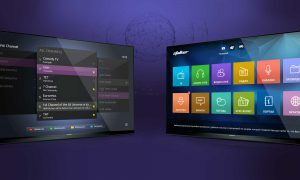 The easiest way was to develop a set-top-box, which is basically a small computer which can receive, decode and display Live video content on TV while providing additional services like Video-on-demand, Time-shifted TV, side applications, web browsing, social networks and more. Set top boxes differ in hardware, OS platform and client apps supported. The main problem that an IPTV vendor has to solve is how to make the set top box and client app installed on it to work reliable, with smallest channel switch delay possible and without image or sound jitter. Only trusted vendors of IPTV solutions, like Nevron, have enough resources and expertise to develop and support such a set top box. Customers using IPTV services built on a “zoo” of equipment and on less expensive and free software witness various bugs without real chances of fixing them. That’s why the choice of STB model plays critical role in user experience and avoiding cheap solutions will actually save up money spent on technical support. When we think of modern smart devices, we usually picture something that offers automation, wireless control, or learning behaviors (such as Nest or WeMo). Smart TVs aren’t exactly the same thing. 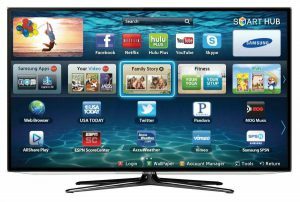 While they may include some wireless features, they usually don’t have any automation and focus instead on combining features from set-top boxes, computers, and HDTVS. Deploying an IPTV solution could require a trade-off in order to fit the budget of a project and keep the solution simplest as possible. One of ways to achieve this is to get rid of Set-top-boxes. With Smart TV it is possible to provide IPTV service without connecting an STB. Smart TV is equipped with a built-in STB that would require only installing a client app to become part of Smart IPTV solution. This approach is well-adopted by hospitality business as they always are looking to reduce the complexity of the property’s infrastructure. IPTV providers are living under constant pressure fighting for their customers and adjusting their business to dynamic market realities. Each IPTV provider has to find the point of balance where they are still profitable, while providing best picture quality, valuable content, ensure service reliability and develop business strategy that can allow enough sustainability and growth. U.S. based provider with fairly rich channel list, including channels for spanish-speaking audience. Claim to be providing more service for less money, when compared to industry giants. They provide one of the best streaming quality and device compatibility among competition, according to online votes and surveys. Originally a content aggregator for IPTV providers, with Ultraboxhost introduced it turned into an IPTV provider as well with surprisingly high quality of services and Full Hd channels on the list. Packages include Live TV and Video on demand, but there’s a requirement to use a VPN connection to access Epicstream IPTV service. Apollo server based IPTV providers, reliable and good as a backup solution. Offer 720p streams and good for customers sitting on slower connection. Support relatively rich list of models of set top boxes and has two options for client apps to be installed. UK based provider with European and worldwide channels. 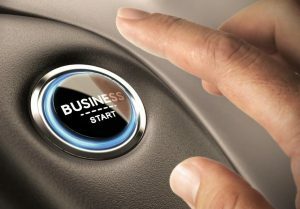 Offer a unique reseller opportunity to grow your own customer base. Bound to MAG set top boxes, which could hardly be labeled as the best option available on the market right now. Another UK based provider with budgetary set of plans and good choice of client devices. Offer various plans with carefully selected channels to stay on a budget while still providing a bouquet of channels a customer want for the money. Technically, IPTV channels are IP-addresses with dedicated ports provided to a host by middleware. A host can request a video stream from certain port and IP address. The video stream is then sent to a host as a set of data packets defined by IP protocol, carrying compressed and encoded video, audio and other auxiliary data like subtitles. 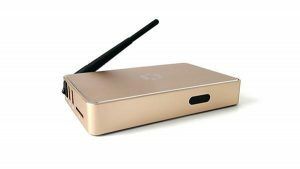 The host, or client device will receive IP packets with channel data, decode it and display as a set of frames, play selected audio stream, display subtitles and so on, just as any TV set would. MSNBC A news channel that managed to outperform CNN and Fox News. ESPN Home of sports, recognized globally and keep the high ranks. Hallmark North American host of TV shows and movies. MTV Good old music industry channel still rocks. VH1 Successful reincarnation of MTV, with aim at older audience. NFL An appreciated provider of football news, live games and related shows. Euronews Most popular news aggregator on European TV screens. Al Jazeera News from developing economies highly appreciated by travelling population. The Weather Channel Who could afford going outside without knowing if it’s raining or not? Discovery Unique episodes about nature, science and the world keep viewers attention pretty well. Lots of channels are broadcast over IP, via satellite, cable and terrestrial. IPTV providers push content through their streamers, making it available on the Internet. Here is the list of some of the most rated free channels (some providers may require signing-up or restrict streaming to some region). ITV As an integrated producer broadcaster,creates, owns and distributes high-qualitycontent on multiple platforms globally. Dave British TV channel, formerly known as UKTV G2. The channel is focused on comedy and game show. BBC Probably the most eligible news channel for English-speaking audience in the UK. CNN Same as BBC in UK, CNN is the leading news provider in USA. TLC Belongs to Discovery Communication, the owner of few more popular channels. Got series like Sister Wives, Counting On, 90 Day Fiance, Say Yes to the Dress and many more in their programming list, support mobile apps and Roku platform. With the rise of free and open-sourced IPTV solutions, free-of-charge IPTV services started to pop. Lots of individuals, organizations and simply enthusiasts share their video streams on the Internet. Those are usually ad-sponsored or community sponsored channels, like foreign language TV shows run by ethnic communities for migrants living abroad. The service is usually provided without much support to users and is not optimized for much client devices. 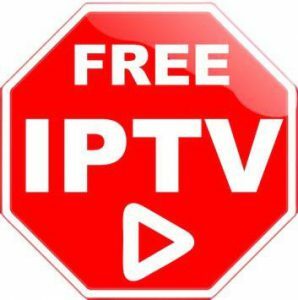 Free IPTV is more of a service for enthusiasts hosted and provided by enthusiasts. The main difference between Pay V and Free IPTV is the quality of content, delivery and service availability. Free IPTV does not collect enough money from viewers to ensure adequate response to possible downtime, issue updates and fix software bugs. At the same time, only Pay TV can offer viewer themed movies and series, like on Netflix. Pay TV providers are literally shooting movies based on their subscribers votes. How does free IPTV work? IPTV can be very profitable when correctly implemented and fully meet the expectations of intended audience. Still, there are non-commercial IPTV services for education, charity, information or entertainment. Such services are usually deployed without dedicated client devices and rely on application that is installed on equipment that users already possess. Or else they can simply recommend to buy certain model or choose from range of, without providing much support to users. PC, Laptops and set top boxes are kind of devices where media content is usually delivered in Free IPTV services, mostly because operators of free IPTV got no resources to tamper with dedicated set top boxes. There are lots of opportunities for watching the IPTV streams online for free. With m3u8 links it is possible to watch streams right in your web browser. Other links are available through VLC player or set top boxes. 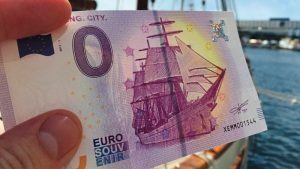 Symbolical souvenir, which could probably be used for buying a free IPTV subscription. Lots of IPTV links can be found in the Internet, with some apps and providers aggregating them or providing their own links. Here is a list of some apps and providers. This Roku channel comes pre-loaded with a ton of great IPTV live streaming channels already. You can’t add content to the channel. Just turn it on and play. This channel only works up until midnight then comes on the next morning. When it is working it is amazing. The streams are all super clear and reliable, but app installation is a bit tricky. Another channel pre-filled with a massive amount of IPTV stream from all over the world. It recently came out of beta and is now sometimes it works pretty well. Roku channel that has been around for a long while. It offers a lot British TV content like BBC and much more. There are several versions of this channel. Our favorite is the private version that includes a nice programming guide. New Live TV Android app that is amazing. It offers IPTV streams that don’t pause every so often like almost every free IPTV playlist we have seen. This app even includes a nice programming guide and is being offered with a free 7 day trial. Unlike the previous IPTV channels Channel PEAR is unique because it actually lets you setup your own playlists of channels on their website and export them. Plus you can even search for and find your own IPTV content and upload it along with a custom channel icon. The free version will only let you add 5 channel streams. When user want to watch regular TV, he clicks on his remote and his receiver will tune to the frequency of that channel or start decoding certain PID, in case the channel is a digital broadcast. IPTV works the same from user perspective, same click on remote or tap on screen will get user to the channel he wants to watch. But there is no receiver in IPTV client devices like regular in TVs. Instead, an IP session is initiated between IPTV server and client device. Client devices receive channel list information from IPTV server, usually this data is provisioned by middleware. Such channel list is a table with channel name, link to logo picture, channel description and most important, the URL or IP address, from which a stream with channel video, audio and subtitles are sent. IPTV links are similar to links appearing in address bar of a web browser, only sometimes they refer to protocols other than http and may contain IP address and port. IPTV link may also contain some authentication data, like password, username or token to protect the link from unauthorized access. An IPTV channel is a stream with assigned IP address from which a client device can receive video stream. An IPTV streamer has a set of IP addresses and ports each assigned to some specific channel, so that client devices receive the channel list information and know from which IP address they should receive the channel that the user has selected. Sometimes it is more efficient to use auxiliary protocols such as IGMP to manage network load. In this case video streams are sent to multicast IP address and then switches will decide locally whether to send certain stream to a selected network segment. URL of an IPTV link will point to an address from which a stream can be picked using one of transport protocol, like HLS, HTTP, RTSP, RTMP etc. The decoder will then arrange frames and restore picture using decompressing algorithm. Some IPTV channels are available right off the Internet, from an IPTV link and are accessible with VLC player. Examples of such channels are listed below. To play it, just copy the link and paste it in VLC player. Bein Sport HD 1 International sports network with over 1,200 live soccer games from top European leagues (Serie A, La Liga, Ligue 1), plus tons of live auto racing, rugby, volleyball and cycling. MySports HD F Broadcast National League and Swiss League games weekly during the regular season and one game per round during the Swiss League play-offs. Also broadcast formula E, handball, basketball, beach volleyball and equestrian sport. Eurosport 1 Famous sports channel holding wide range of rights across many sports, giving it exclusive advantage of providing unique casts of sport games, including Olympic games. Broadcast in 20 different languages with great coverage across different regions. TRING SPORT1 One of channels from satellite package by Albanian Tring Digital provider, focused on live sports programming, including live football from the top football leagues in Europe. 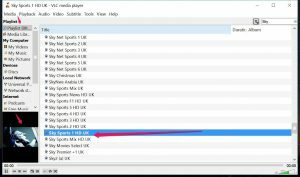 Typical playlist containing several IPTV channels, as appeared in VLC player. Core part of any IPTV system is the middleware, the server application that provisions the channel list, EPG information and other service data to client devices and apps. Commercial IPTV installations utilize middleware solutions that are professionally developed and supported to allow the QoS and availability suitable for providing subscription based services. Still, some operators use free and open-sourced middleware solutions, like Stalker. Such approach reduces cost of initial service launch, but has no immediate technical support. This may become an issue for both users and administrators as Stalker solution is open-source based and not as easily fixed. UI screens of Stalker middleware. Stalker middleware provide all basic IPTV features, such as channel and VoD content list, EPG, TimeShift, conditional access support, subscription plans and administration interface. However, this solution is free and open-sourced, which means an owner of Stalker-based IPTV system will have to support this middleware on their own.